Baseball fans are known for focusing on what happens during the innings. 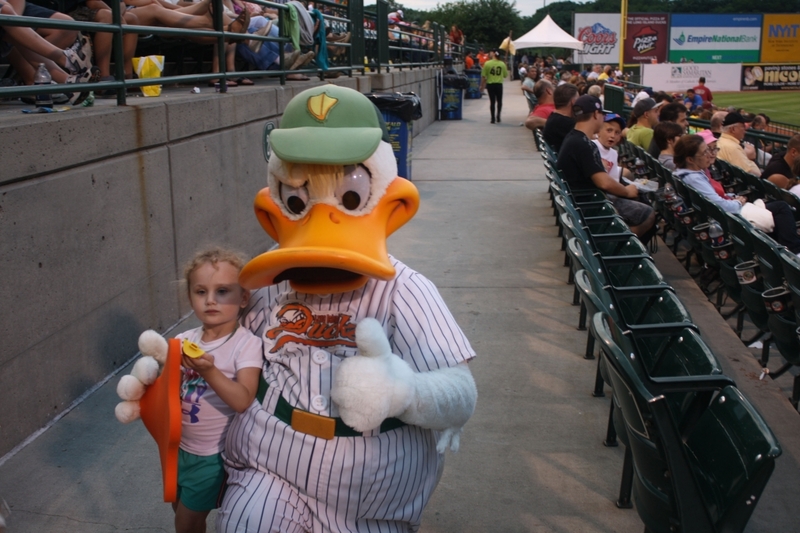 At Bethpage Ballpark, home of the Long Island Ducks, it’s the entertainment between the innings that has fans coming back for more. QuackerJack has been a part of the Long Island Ducks family since they became a team in 2000. Ever since, he has been a favorite of the fans and a star of every game. 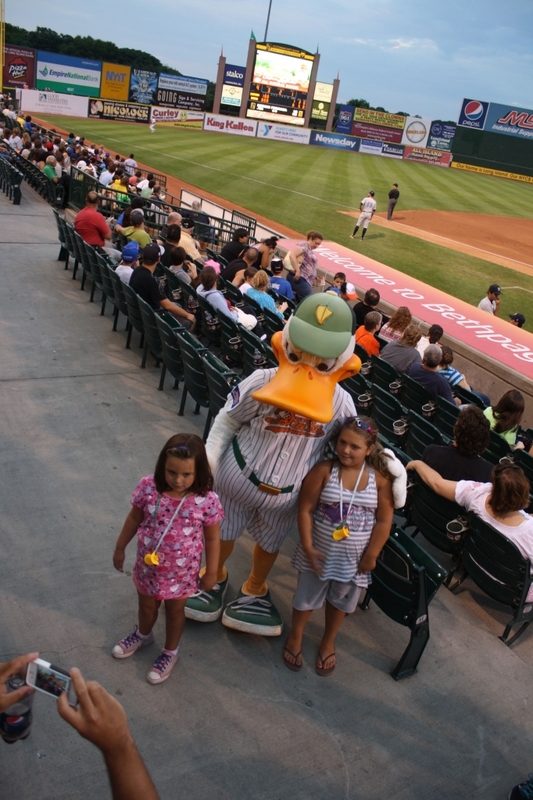 QuackerJack never leaves the sight of the fans. Dancing, signing autographs, taking pictures and throwing T-shirts to the crowd are just a few of the forms of entertainment he provides. 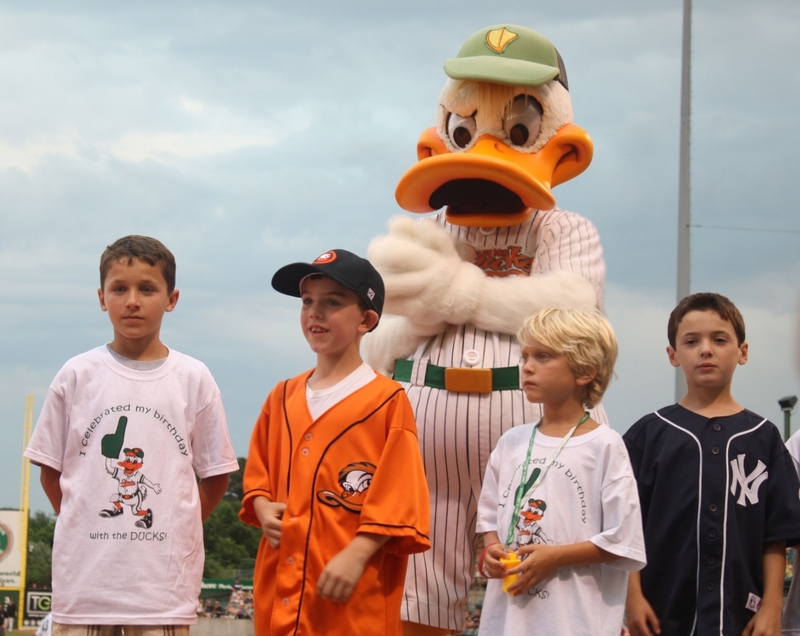 “My favorite thing he does is when he goes crazy and runs in the dugouts,” said fan Nate Worthman. 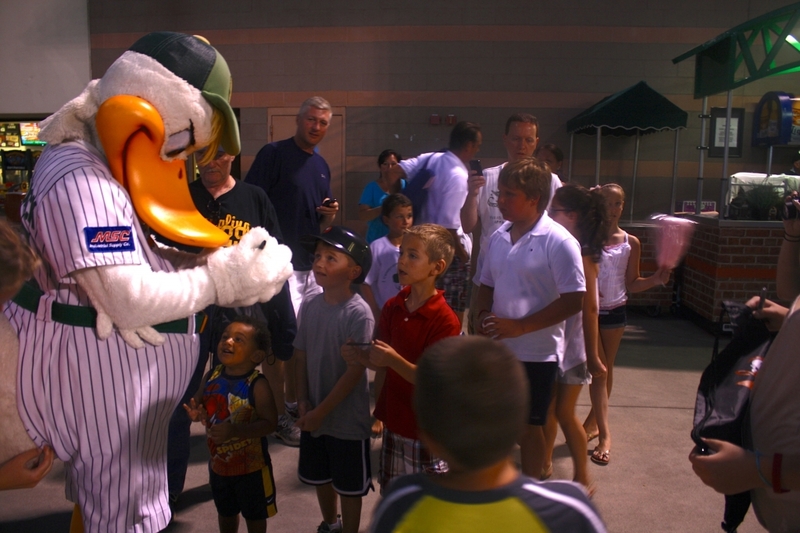 High-pitched screams of little children can be heard throughout the stadium as they try desperately to get QuackerJack’s attention. 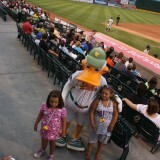 Most are able to meet him, and even snap a photo. 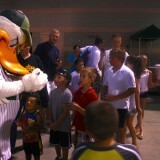 Thomas Kahl, an avid young baseball fan immediately answers “QuackerJack” when asked who his favorite mascot is. 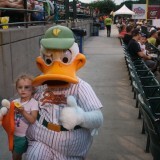 QuackerJack isn’t confined to the walls of Bethpage Ballpark. 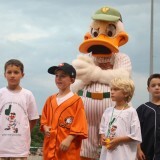 He also participates in community events throughout Long Island, Polak said. He visited the Patchogue-Medford Library to encourage reading in addition to visiting Tamarac Elementary School in Holtsville to raise awareness about child abduction. 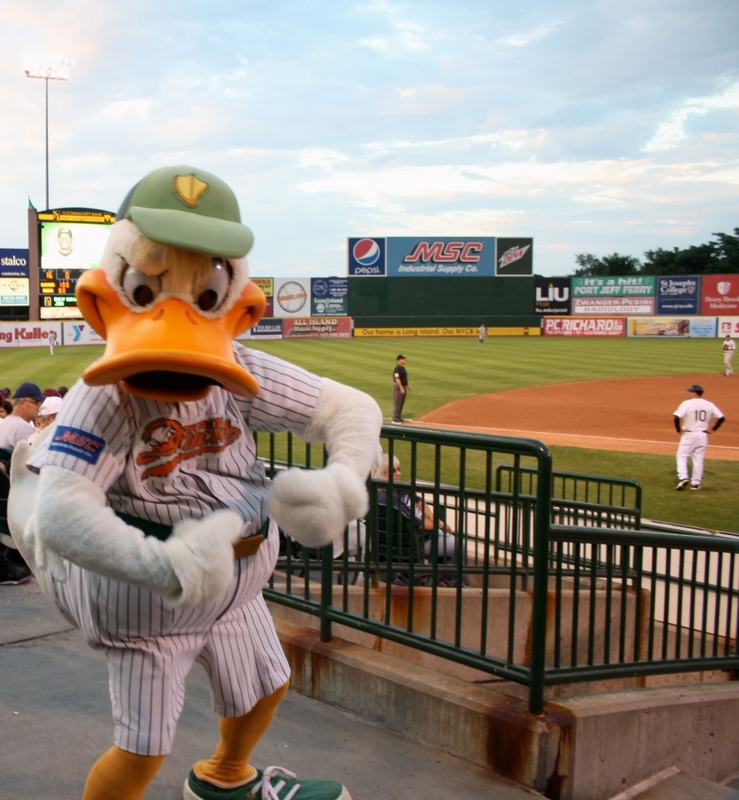 The Long Island Press named QuackerJack the Best Long Island mascot in its 2012 Best of Long Island awards. 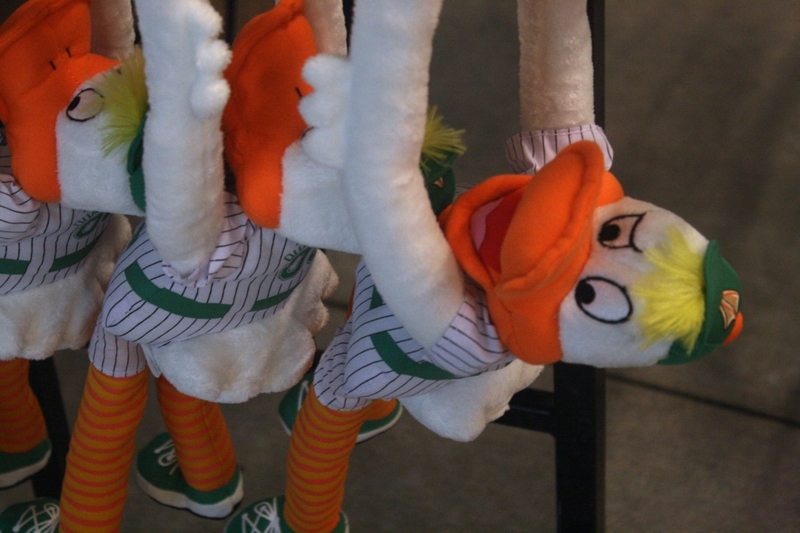 The decision was made by an online poll in which QuackerJack beat out mascots Wolfie of Stony Brook University and Sparky of the New York Rangers.